These two board designs are done some time ago. The boards are presented in a wooden box behind glas and are signed and numbered to a limited edition of 20 pieces. 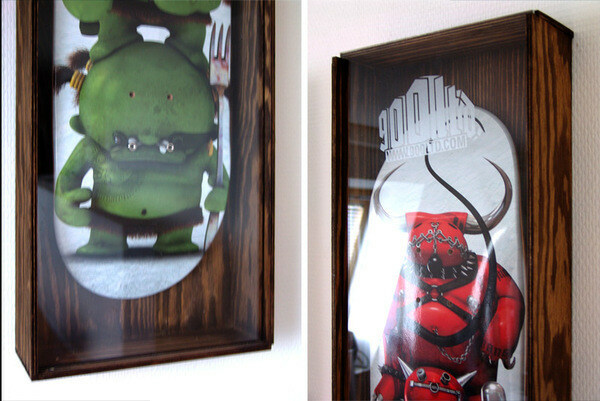 These are two skateboarddesigns I finished some time ago, They're numbered and signed to 20pieces, made to be presented in a wooden box behind glas, but grinding them to death is possible too the glued 4c-print is as resitant as a silk print. Hope you like it!